Links are used to add interactivity to your mockups. 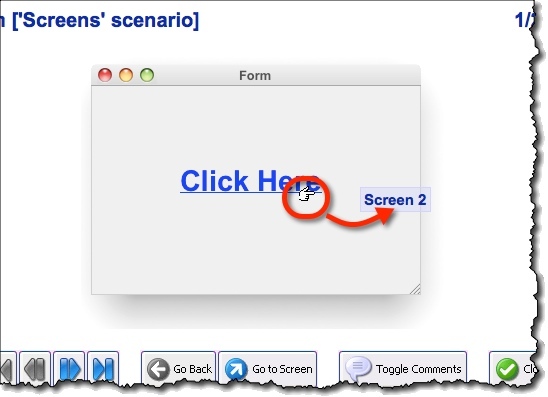 When clicked in a slideshow or in a HTML export, their target screen is opened. All widgets in MockupScreens has a “link” attribute you can set. 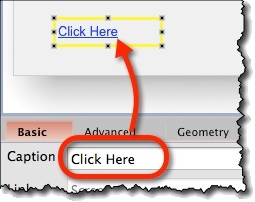 The other way to use links is to use a Link widget. It is displayed on a screen, the same as links on a web page. Caption (“Basic” tab) – Link text to be displayed on the screen. 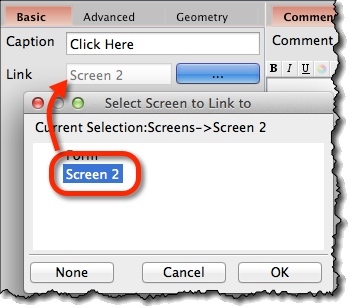 Link (“Basic” tab) – Target screen to open when the link is clicked on.